The Bronco Motor Inn is a good budget priced, owner operated motel. Situated on the western edge of toowoomba on the warrego highway (ie Bridge street) in the Charlton suburb. Www. Broncomotorinn. Com. 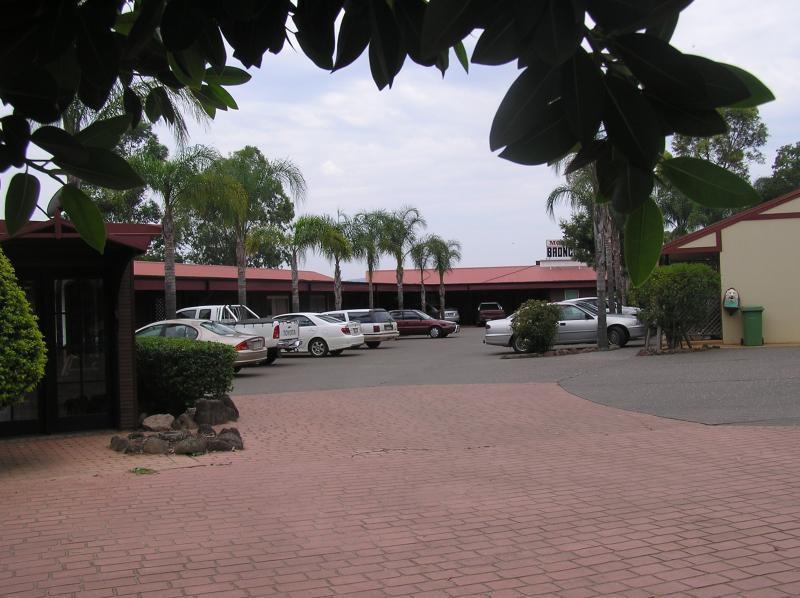 Au The Bronco Motor Inn guarantees a very clean, comfortable friendly environment containing 18 larger then normal motel style units suitable for the overnight traveller or your extended stay. Fully licensed restaurant opens daily at 6pm and offers large home style meals at a budget price, (house guests can order take aways from the bar at any time. ) 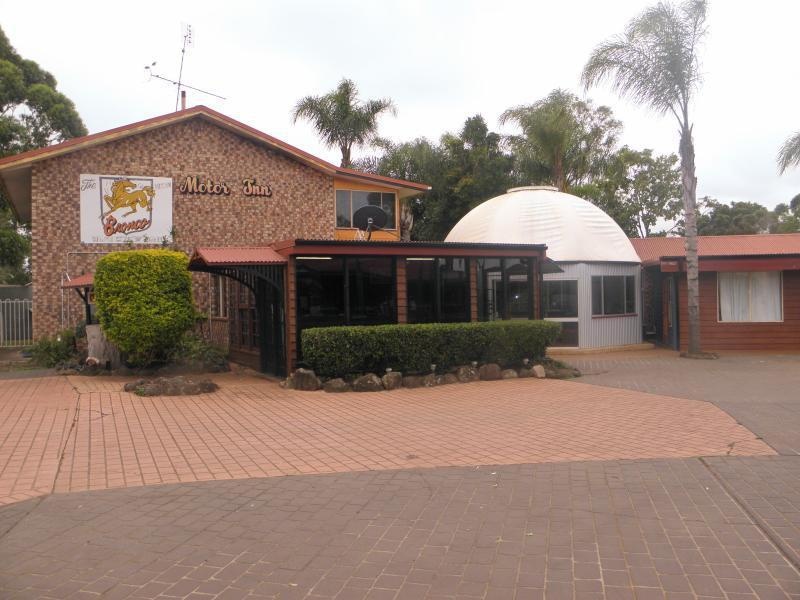 Fully enclosed R/C Aircon gazebo (enjoy a drink or a snack) Great BBQ area adjacent to Restaurant and gazebo. Parking available in front of rooms and large vehicle parking available in or off street. Bar and Restaurant: open nightly from 6pm , offers large home style meals at a good price. Open to the public ( phone for a booking). Cards welcome: VISA, Mastercard, Eftpos, American Express and JCB Also offering the following: Large vehicle parking Licensed Bar and Restaurant Meals available to rooms Spa Rooms Self contained units Fully air conditioned Close to Farmfest, Speedway &amp; Showgrounds Function Room &amp; outdoor area, suitable for weddings and parties. Eftpos facilities are available. Cards welcome: VISA, Mastercard, Eftpos, American Express and JCB 24 hour front desk Free cot hire available Our fully licensed restaurant and bar is open from6pm daily. We offer a bistro menu which is renowned for 'large meals at reasonable prices. ' An affordable breakfast menu is available. Very good highway hotel. Easily accessible by car. Great room. Manager organised. Friendly staff. The best service. Fridge worked fine. Towels wonderful. Plenty of beds. Plenty of beds. Big family rooms. Large room. Room was old. Hotel was old.